How fast can the world change? Today, half as many people live in extreme poverty as did in 1990. Super computers are so common that we forget them on the bus. And robots are poised to alter virtually everything about our lives. 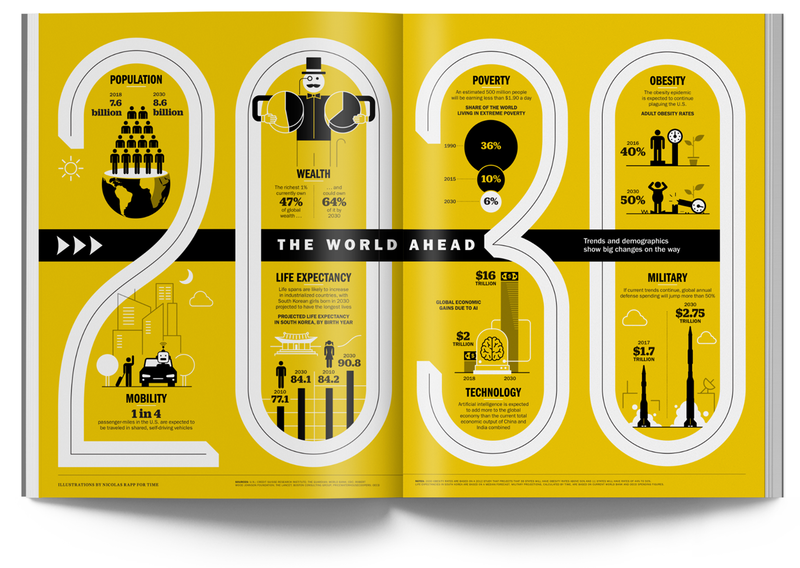 A spread infographic for Time magazine highlights trends and demographics showing big changes are on the way.